It feels like too many sailing days to count, but it’s really about the boats. People kept showing up all day, and by early afternoon sails could be seen from top to bottom. The racers set up the marks again to continue training for the worlds, later this month. We scouted the remaining hazzards south of the pressure ridge and put a cone at the western most hole. Leave it to starboard heading north. 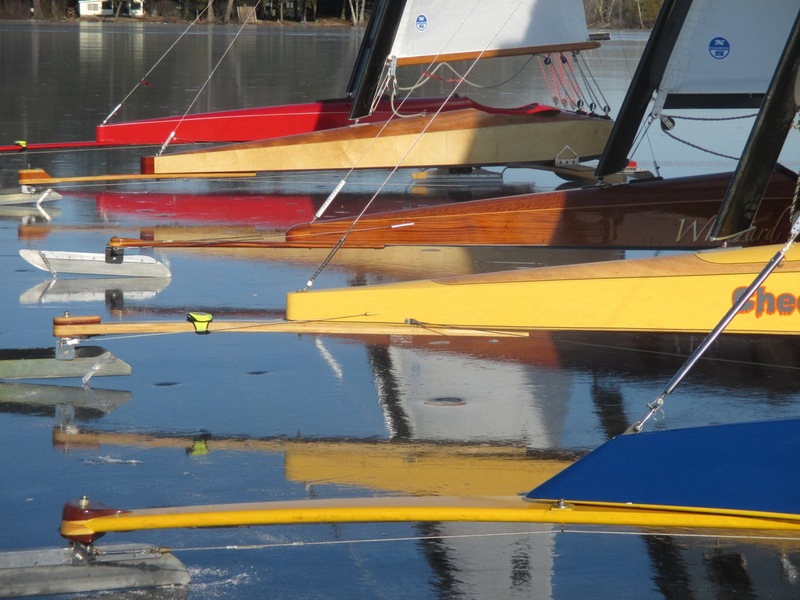 A small fleet did cat and mouse figure eights around the Twin Islands as the wind began to build into the mid teens. 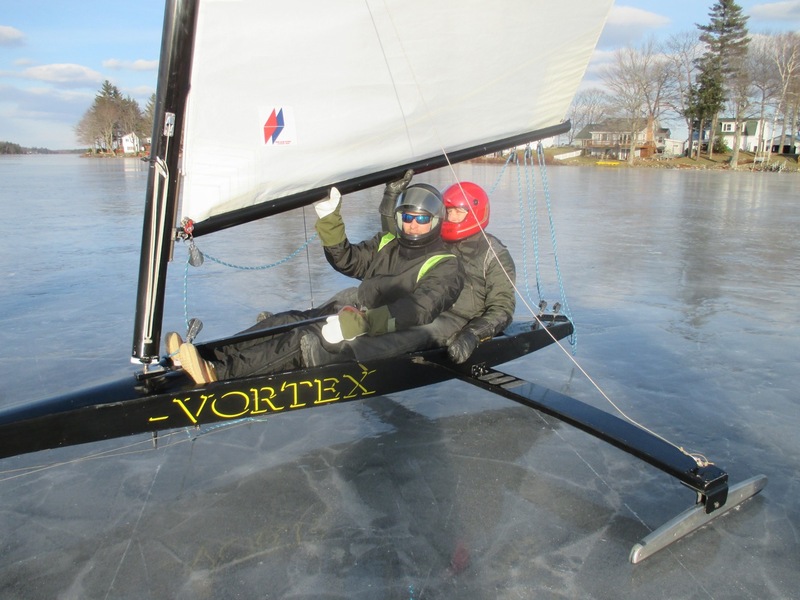 We know that aerodynamics are everything in iceboat design and building. Michael made some very nice inserts from solid aluminum with stainless blades. Pushaw will be open for business tomorrow as usual. There’s a couple of more days before this comes to a messy meteorological end. Then we’re back into the other great iceboating activity: scouting ice and watching the weather!